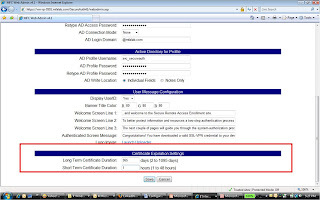 MultiFactor SecureAuth's Configurable Expiration Security Tokens Enables Easier Deployment of VPN Authentication. 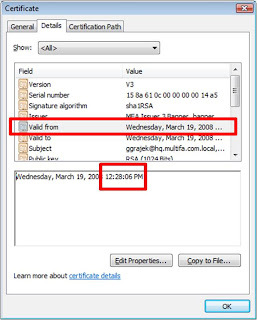 One of the main pushbacks for VPN utilization of certificates has been the fear of leaving valid identity credentials (e.g., X.509 certificates) “behind” after a user utilizes a non-corporate machine. Enterprises have for these purposes, been forced to deploy cumbersome and expensive solutions like hard tokens. 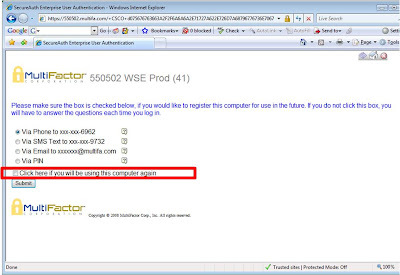 (E.G., RSA SecureID and Vasco, VersiSign and other token-based solutions). At least with these solutions, the argument goes, nothing is left behind on the computer. The fact that these tokens are expensive, hard to deploy and an irritant to end-users, was, before now, just a pain that enterprises felt they had to swallow. The day of “tolerating” this token pain is over. 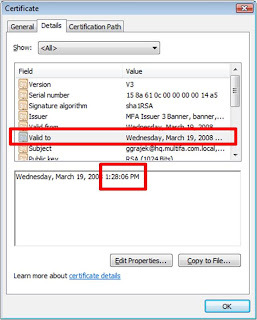 MultiFactor has not only released a new version of SecureAuth™ that makes the certificate length as short as an hour – but has created a methodology to deploy these certificates to non-corporate assets. In summary, SecureAuth™ is a technological breakthrough where, now, enterprises can deploy secure, non-phishable, bi-lateral authentication that can be utilized on both corporate assets and non-corporate assets (kiosks). 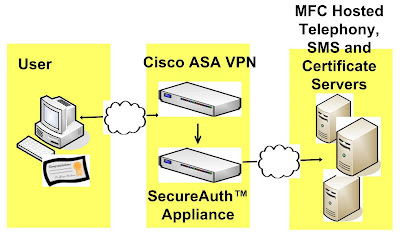 Thus, there is no reason to deploy expensive and user-antagonizing one-time-tokens to end users – the new solution is here – SecureAuth™ for VPN and application authentication.